Stripgenerator.com - ...and it opened up my eyes. ...and it opened up my eyes. I think that just about does it for alternate definitions of crossing a road. Sorry everybody, Quoty the word balloon, sadly, got popped. Times New Roman everywhere; it’s a real mess. I’m not saying the chicken had something to do with it, but Quoty's last words were completely illegible…chicken scratches. ROAD Whoa, that road looks mean; better not cross it. Alas, poor Quoty, I didn't know ye well! Ah yes. 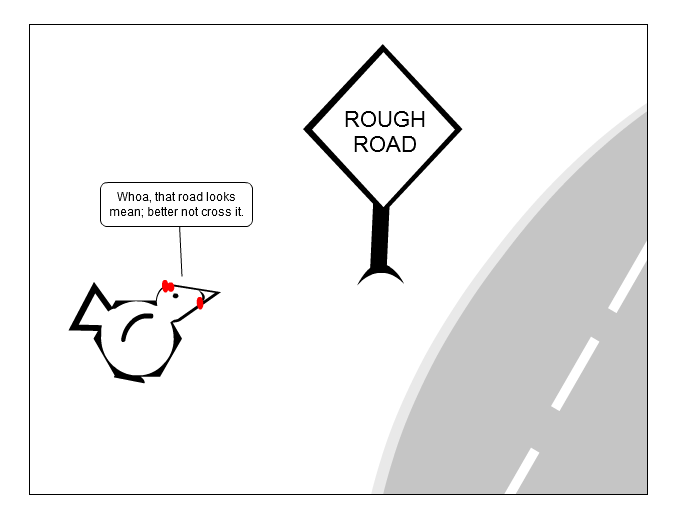 The old joke " Why didn't the chicken cross the road?" Now we know!